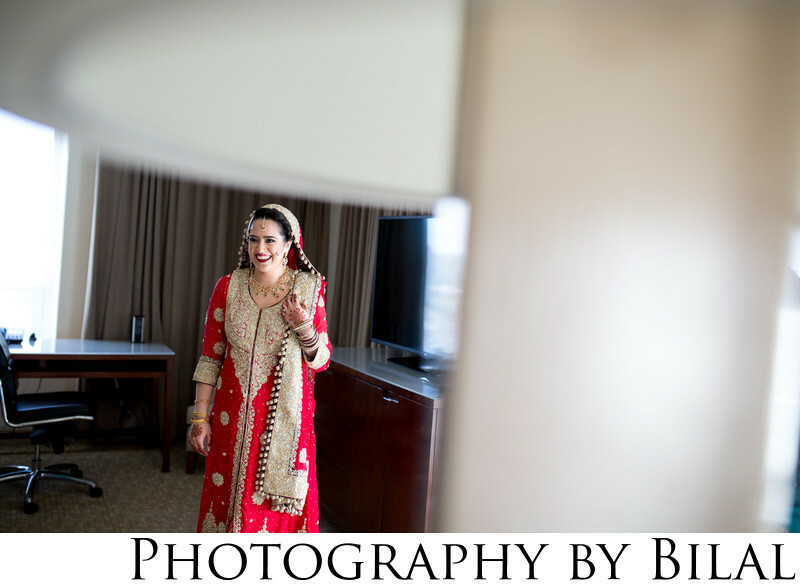 I caught this completely candid image of the bride as her friends were about to walk in to the room and see her for the first time as a bride. I just love the happy expression on her face. Experienced wedding photographers have to know when to be ready to capture the perfect candids. This image was captured at the Westin in Princeton NJ.